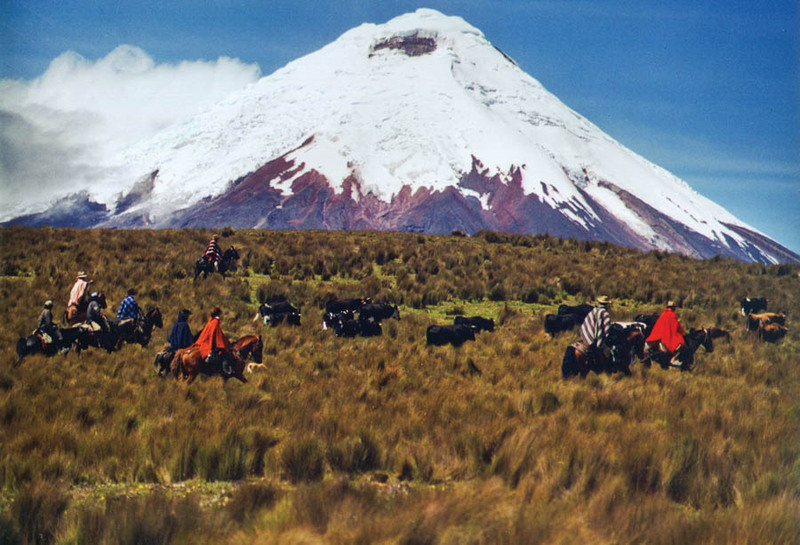 A route that takeshorse riders into the remote Andes in the eastern foothills of the perfectly conical, snow-capped Cotopaxi volcano. We cross a huge variety of scenic terrain, firstly horseback riding across the patchwork of tiny fields on dirt tracks then riding through luna-like landscapes, picking up speed on vast grassy plains. The pace is varied, including plenty of chances for long canters across rolling hills mixed with a steadier pace over more challenging surfaces. Suitable for fit, experienced horse riders. 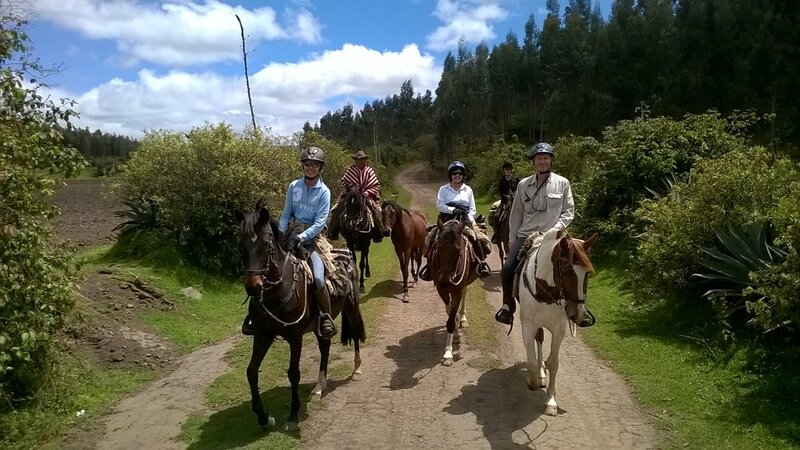 This horse riding tour Includes a visit to the famous Otavalo market, stays at a working ranch, comfortable cottages in a local village & at a remote hamlet on an Inca trading route. If you would like to save on a single supplement, we currently have 1 lady looking to share a twin. RIDE ANDES - A unique Ecuadorian opportunity !! A unique chance to ride our challenging, modified itinerary, including remote Cotopaxi and long days of riding! Contact us ASAP for further details and to book your place. 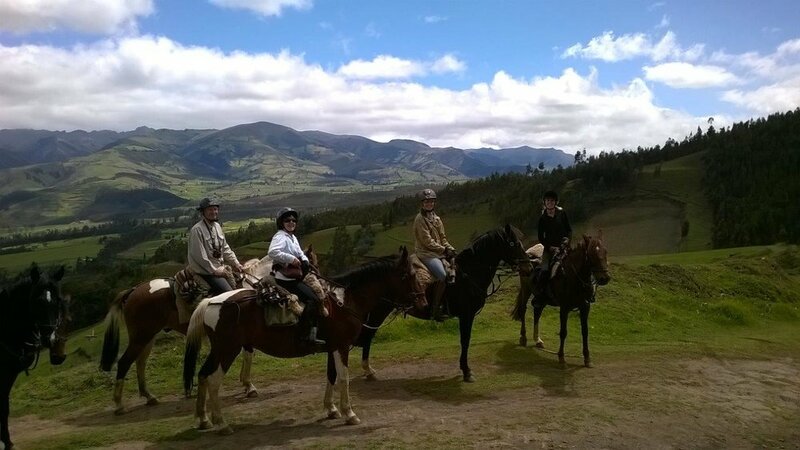 If you fancy getting away from it all this Christmas we have our beautiful Colonial Haciendas Ride from 22nd December - 29th December in Ecuador. Book your own tailor made, private ride, with dates to suit you from 18th December - 30th December. this stunning scenery alongside the wild horses. RIDE ANDES - SINGLE SUPPLEMENT special – no charge! SINGLE SUPPLEMENT special – no charge! As we ride on place to place and do not stay at any Ride Andes accommodation, the historic haciendas and mountain inns charge a single supplement, but we have agreed to waiver that charge for the Ecuador set date departure rides, bookings made with us during May 2018.
the single supplement will be waivered on Colonial Haciendas (7 days riding), Andean Adventure (7 days riding) and Volcanoes & Vistas (10 days riding) tours. There is a limited number of single rooms available with no single room supplement, so please do not delay. Contact us for more information. RIDE ANDES - Come and meet the very friendly locals here in Ecuador! 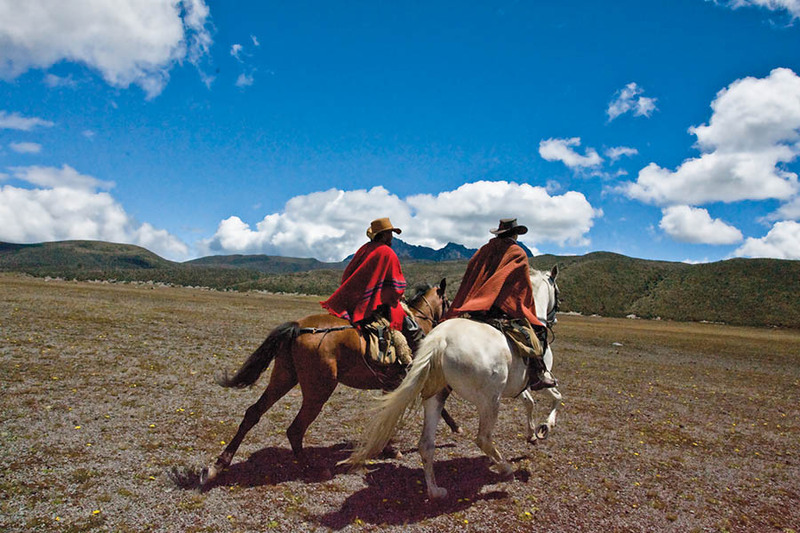 Horse riding in two stunningly beautiful, yet very distinct areas of the Andean highlands. 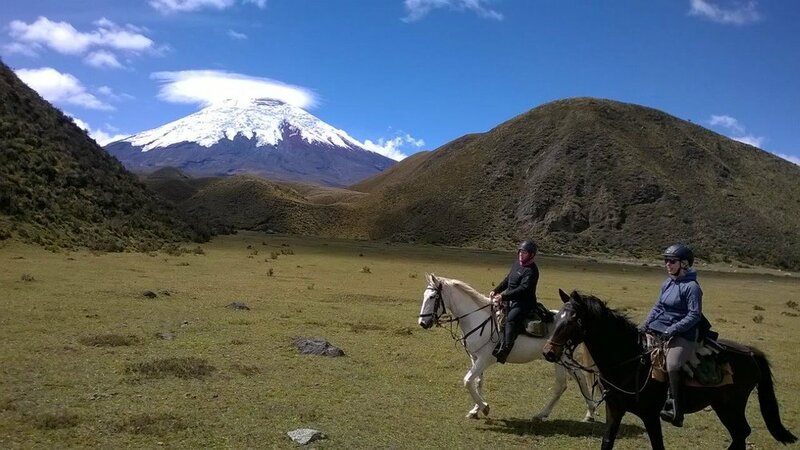 A route that takes horse riders into the remote Andes in the eastern foothills of the perfectly conical, snow-capped Cotopaxi volcano. Rides are constantly being added so please keep checking for new dates and/or contact us for specific dates to see if we can arrange something for you. 5th-15th December 2018, the exciting Volcanoes & Vistas 10 day ride in Ecuador is confirmed. 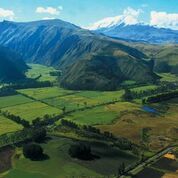 This route, journeying on through the remote Andes, through stunning scenery, ending with gallops with the Cotopaxi national park wild horses takes in the absolutely best of Ecuador – a country made for riding! 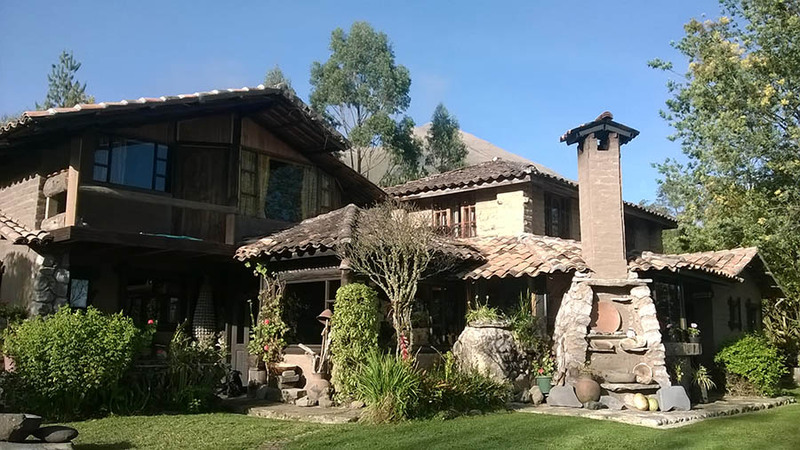 BOOK NOW for the next Colonial Haciendas Tour, Ecuador. 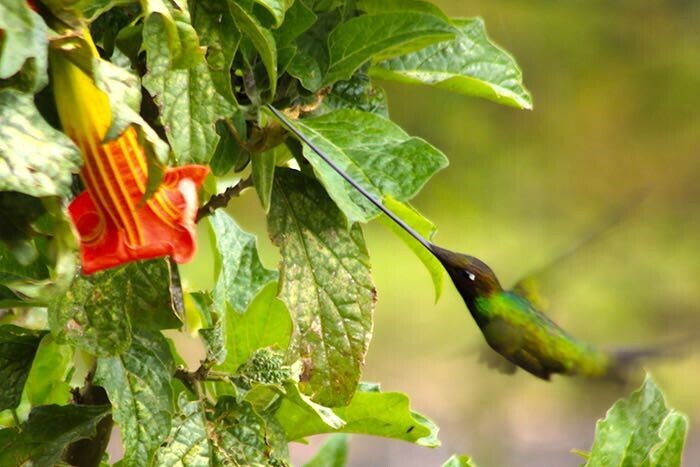 This swordbill hummingbird flits around one of the luxurious country hotels we stay at. 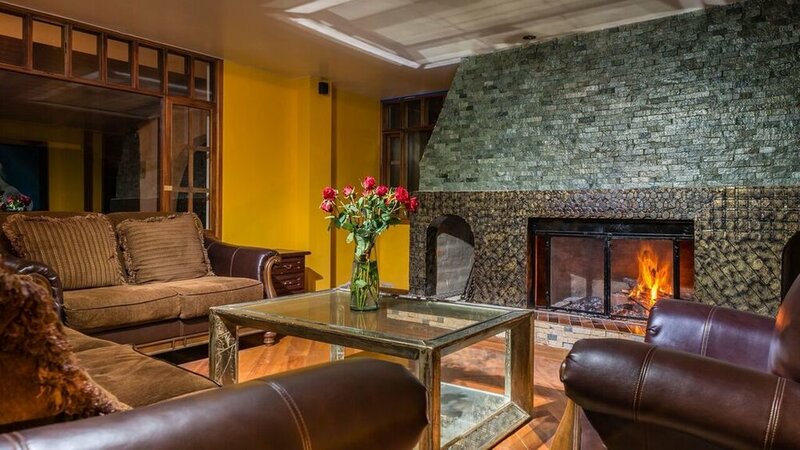 From this lodge- complete with hot tub, swimming pool, steam room and sauna and absolutely stunning views of Cotopaxi Volcano and other major Andean peaks- we ride to the national park to join the wild horses as we journey on through the magnificent Andes. 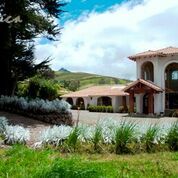 “My husband and I had booked a private tour in Ecuador with Sally as a 2018 New Year present to ourselves. Sally's horses are very well cared for, sure-footed, calm and responsive - wonderful to ride. Though a quite experienced rider, I have over the last few years become increasingly nervous. But Sally was terrific, helped me and made me feel safe while also giving my husband some faster and longer rides. 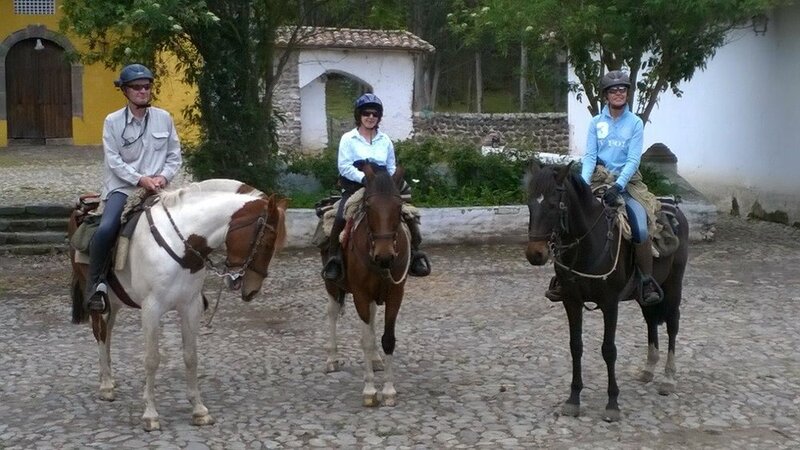 We enjoyed the haciendas enormously - each charming and different in their own way. Sally's knowledge of Ecuadorian history, geography, geology, local flora and fauna was quite astounding and made our rides, over beautiful, lush countryside, exceptionally interesting.” Jennifer, 2018, Ecuador made to measure private five star Haciendas ride, with Galapagos ‘add-on’. including with young children and/or ‘non riders’ in the group. complete flexibility with our itineraries to exactly meet your group’s wishes. 26th September-6th October VOLCANOES & VISTAS.